Meizu founder Jack Wong previously revealed that the company would be unveiling its anniversary phone, the Meizu 15 Plus, in February around the time of China's Spring Festival. If you're curious about the name of the device, this model will be a special edition released to mark the 15 years that Meizu has been in business. The Meizu 15 Plus will be a high-end model that should go on sale some time in March. Checking out a couple of leaked renders (which can be found in the slideshow, below), you can see just how slim and trim the bezels are on this device, especially on the sides and at the bottom. The top bezel is a little bit thicker in order to accommodate the front-facing camera, and any sensors that Meizu might employ. On back is a dual-camera setup, and what appears to be a fingerprint scanner or a laser focus module. The phone will be powered by either the Snapdragon 845 SoC or the Exynos 8895 chipset. The leak also mentions a possible price for the Meizu 15 Plus, 3,599 Yuan. At current exchange rates, that works out to $562 USD. With the Spring Festival just three weeks away, we should be hearing a lot more about this phone soon. I don't trust meizu's renders. That phone will definitely include black borders as thick as those bezels like any other meizu phones. After Apples renders and even their own promo materials I won't trust bezel size until I physically see the product. iPhone eks was purported to have very thin bezels and then wham! Thick border all around! Very deceptive in their marketing material. No thanks. This looks like every other generic bezelless phone currently offered in Asia, and what's the point of the this trend if they make all phones look similar? I like defining features on my phone, and the notch (for better or worse) is definitely unique. Asian phones all look alike because of the rampant shameless copying of Samsung (near bezel less, long ratio display with rounded corners). If manufacturers, especially those in China, had the basic sentiment to develop their own original designs, we'd see a whole lot more diversity. As it is now, blame copy culture for this trend of mediocrity we are seeing. I suppose the original Xiaomi Mi Mix from 2016 which restarted and refined this trend (after the 2014 Sharp Aquos) was a Samsung copy too in your warped view. Samsung was merrily going along with it's "Edge" design which was nice but a pain to use with their Edge menus and the careless touches it produced. Give credit where credit is due. Qualcomm and everyone else scoffed at octa-core chips when those pesky Mediatek Chinese introduced them, Steve Jobs scoffed at screens larger than 4.5" when Samsung introduced the original Note, Apple (and their fans) scoffed at Amoled screens until the iPhone X, dual-sim was a gimmick but those copycat Chinese created a winner there too, Should I continue? 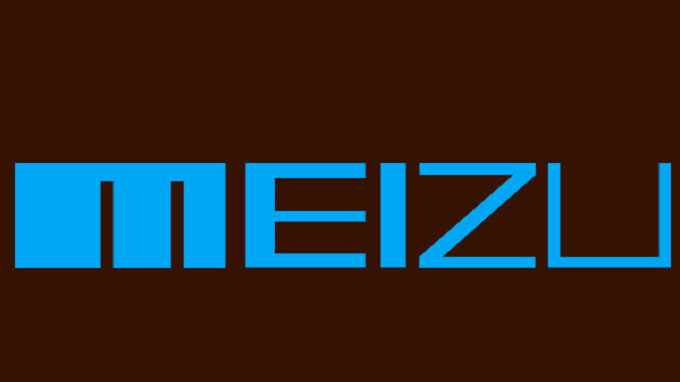 For your information Meizu aren't a fly by night Chinese company. Apart from the fact that Alibaba owns a big chunk of them, they've always used high-end hardware like the best Exynos chips in their flagships. They seem to have lost their way in the last year or so but they're a solid company with innovative designs. Have you ever heard of their rear facing "always on" screen when your phone is lying face down? Apple will probably adopt it in 2025 claiming ground breaking "innovation". While I do agree in regards to the Mi Mix and also tje hardware Meizu uses, I strongly disagree with you about Meizu's designs. They were never innovative in this aspect, their phones always looked like a mix between an iPhone and a Galaxy phone. What about the UI.. Same boring UI on every other iPhone.. No way to differentiate your phone.. I'm glad Apple went with something more unique. I love my Note 8, and sure the back of the iPhone X might be considered by many as ugly because of that gigantic hump, but I'll take the front of it over my phone and every phone in the market. I don't look at the notch as something taking away from the display, I see it as an extra screen that's there solely for the notifications bar. Once you used it for more than a minute, you'll get used to it almost immediately. This right here is the perfect bezel-less design. I hope other OEMs take note. Small strip of bezel across the top, with little side/bottom bezel. Galaxy S8 look-alike design right here. How? From which angle? the top bezel may be? apple should of this with their iphone x! that notch is starting to become annoying to me! its just dumb. i would of rather preferred to have bezel on the top than a notch! might as well do a iphone x notch shape up like the guy on the samsung commercial! lmfao!!! Hello samsung s9. I guess meizu moved from copying the iphone to now copying the s8/9. Thats not a render, thats just a box with rounded corners that someone could draw in MS Paint in 30 seconds. I really wanted that meizu pro 7 but that phone doesn't support 4g lte in the US. Too bad cause it looked great.